pnmcurve applies tone curves to pnm images. 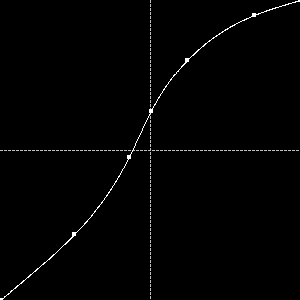 Curves are specified as a set of control points of a cubic spline. pnmcurve applies the resulting spline curve to the pnm image read from stdin and writes the resulting image to stdout. Command line switches allow to apply the curve only to selected color channels. By default pnmcurve applies the curve to all color channels. The tarball also contains a graphical spline curve editor pnmcurvedit based on the fltk toolkit to create and manipulate tone curves. pnmcurve can be used standalone, but is mainly meant to be used with flimp.